2016 Elfster Holiday Swap Sign Ups are Open! NJMQG Members should have received an invitation to join the Elfster Holiday Swap via email. The deadline to sign up is Monday, October 31, 2016. Swap Partner assignments go out on Tuesday, November 1st. What is the Elfster Swap? The Elfster Swap is a holiday swap that takes place at our December meeting which is a Holiday Potluck Party! Sign up via the Elfster email to participate. Elfster will match everyone with a partner. On November 1st, you will receive an email with the name of the person you are making/buying the gift for. Keep your assigned partner a secret! You can anonymously ask your swap partner about their preferences via the Elfster site. You are encouraged to make a wish list on the Elfster site with your own fabric preferences, style, favorite fabric designers, etc. so the participant that is making/buying a gift for you has some guidance. Make or buy something special for your swap partner. Keep it at $15. 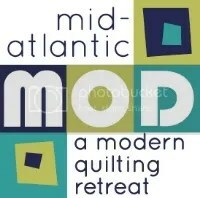 If you are a member and you did not receive an invitation, please send an email asap to njmqginfo at gmail dot com.